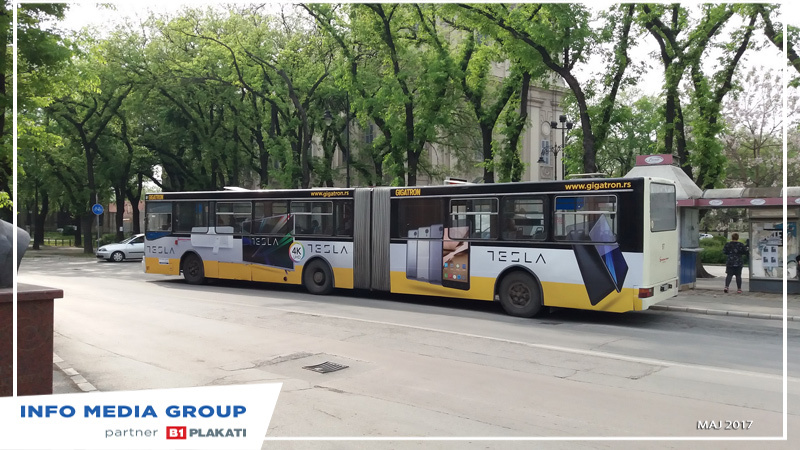 Outdoor branding of vehicles means full exterior wrap of vehicles from our network, achieved by wrapping the whole vehicle with different kinds of vinyl graphics according to conceptual designs of our clients. 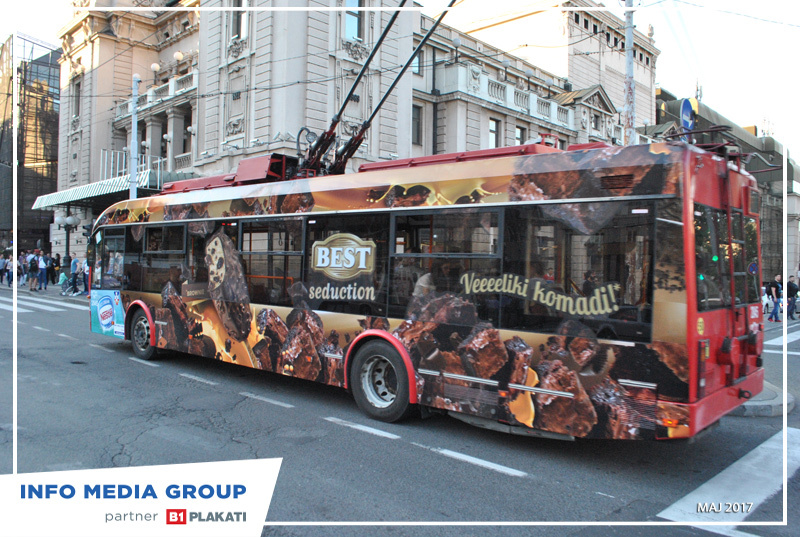 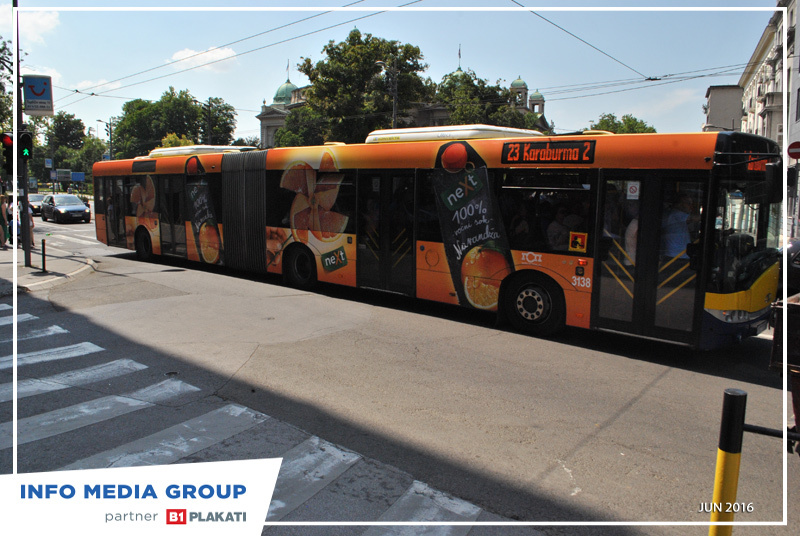 A new service introduced by INFO MEDIA GROUP is partial exterior branding, the so-called bus billboard, placed on lateral sides of a vehicle. 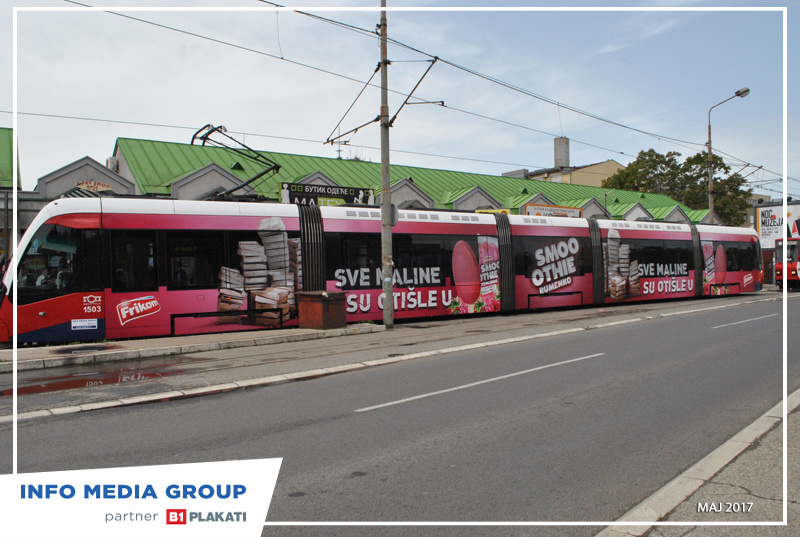 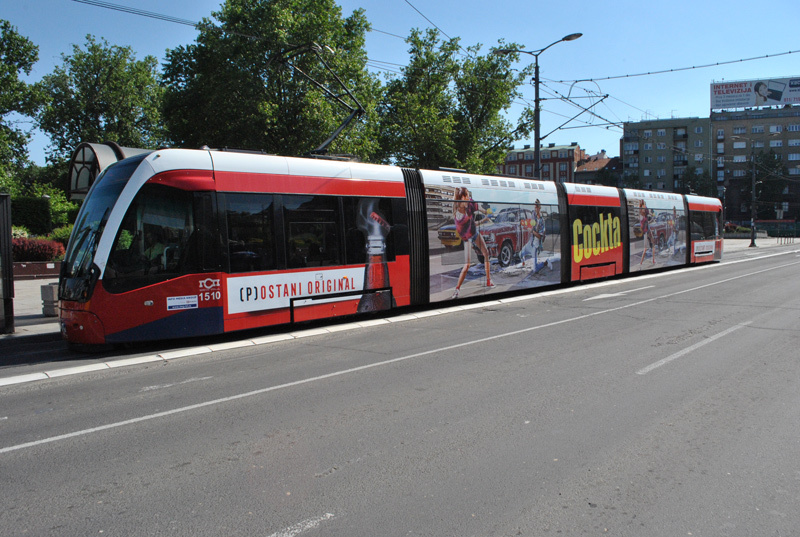 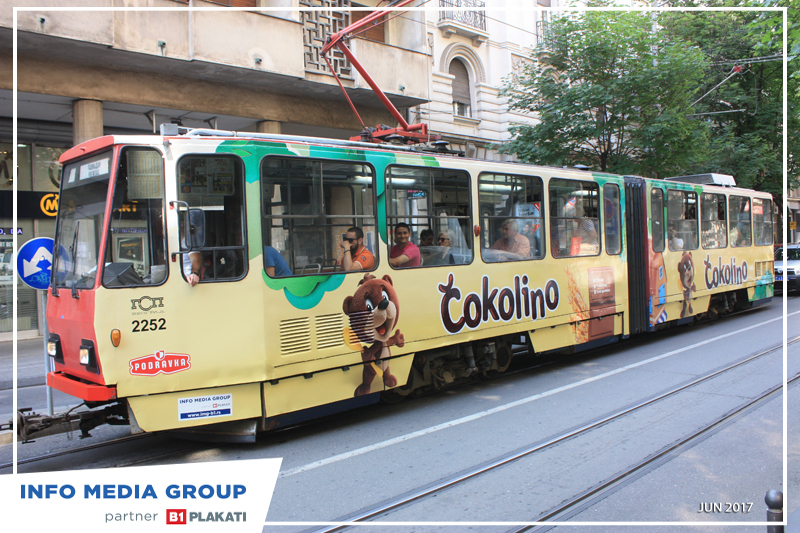 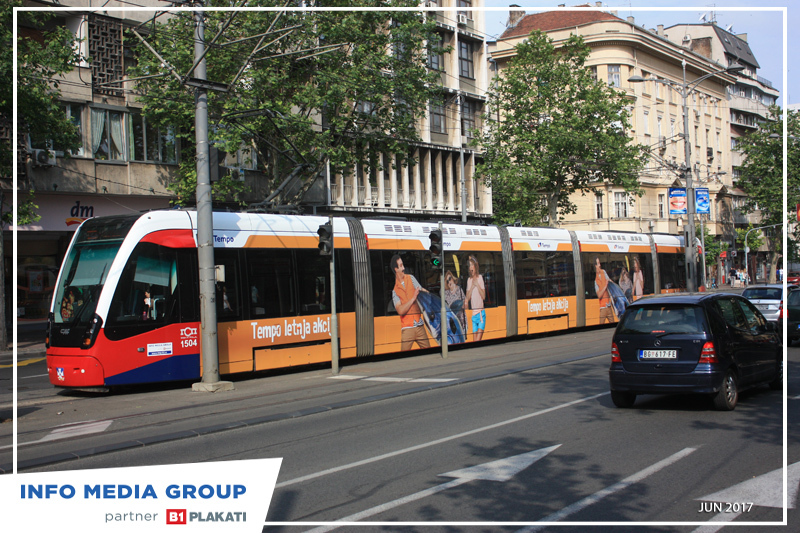 Compared to fixed billboards, this kind of a service has an additional quality of mobility, whereas the reduction of production costs in comparison to full wrap makes this medium financially efficient and suitable even for shorter campaigns that might compete against the alternatives in OOH advertising.